Remember the mystery bird? I have deduced it is a sparrow. It is funny, going through the online bird guides, how many times they ask you what the bird looks like. How am I supposed to know what it looks like? It is high up in the tree! My eye is not on the sparrow! The sparrow songs I hear online are not quite what I hear but they are close. My bird actually has a prettier sound. My bird is a musician! It gravitated naturally to the Leonard Pennario desk. Here is a sparrow song so you can check and see if you have one. You know what that video reminds me of? When I was little and my mom would take me to Woolworth's and there would be that big cage full of birds! For some reason birds used to be considered a necessity, something that could be had in dime stores along with Rain Bonnets, nylons and Lifesavers. I like how you can hear the mourning dove in the background. That is a bird I always know. Howard did not. When he first heard one in our yard he said, "What is that, an owl or something?" 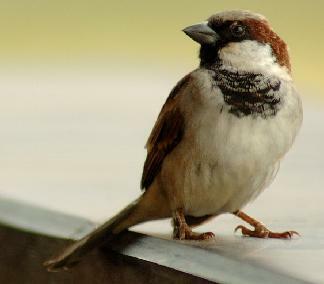 It is fun to learn about birds and their songs but in my quest to ID the sparrow, I learned it was very time consuming. That is why it took me so long. I just cannot budget the time, you know? There are scholars bugging me for this book and here I am trying to figure out this bird I am hearing. Tweet tweet tweet tweet tweet tweet tweet! And now we pause for a word from the Cathedral Sparrows.